A glossary of Baha´i people, places and terms. Some Arabic and Persian words translated to English. A short list of terms, institutions and people's names often encountered in discussion of the Bahá'í Faith. Part 1 of a two-part series on community administration lays out the map of Bahá'í local, national and international institutions, with brief descriptions. Part 2 is on the Bahá'í electoral process. A brief description of the electoral process utilized within the Bahá'í community whose administration is handled by elected councils on the local, regional and international levels. This is grass roots democracy, worldwide. Basic information on what fasting is and how it is used in the Faith, and by one Bahá'í in particular. Where does the money come from to support a religion without clergy and which does not accept donations from anyone who is not a Bahá'í? Adultery may be an old fashioned idea, but it is still unhealthy for individuals, family & society. Gambling is forbidden to Bahá'ís, especially when used for fund raising. Perhaps it isn't the activity so much as the underlying motivation to seek one's fortune in games of chance, that isn't good for us. According to the Teachings of Bahá'u'lláh, Prophet/Founder of the Bahá'í Faith, each individual has the obligation to write a will and a testament. Bahá'í Law expressly forbids the use of alcohol in any way other than for prescribed medical reasons. Tobacco use is not expressly forbidden Bahá'ís, but its use in any form is strongly discouraged. One God, one world, one humankind; those are the basic teachings of the Bahá'í Faith. Life is stressful, and here's how I'm trying to deal with it, with a little help from my friends and the Bahá'í Faith. Spring is the time for renewal in all things, including religion. A Divine Springtime occurs when God sends another Messenger to further the spiritual education of mankind. Do Bahá'ís Believe in Evil Spirits ? The terms 'Satan', the 'Evil One', do occur in the scripture but they are simply symbols for man's base and worldly nature, which is the source of imperfection and sin and which can be overcome. Do Bahá'ís Believe in Exorcism ? I don't want to believe anything could force me to sin. But neither do I want to think I'm inherently capable of evil. Perhaps, believing "The Devil made me do it!" is a less shocking explanation. Bahá'ís, however, take a different perspective. One of the main principles of the Baha'i Faith is the spiritual equality of women and men, and the need to provide the same access education so that women can fully develop their potential, without which there will never be world peace. How Can God Love Us ? Is the concept of God only a time-honored tool of crowd management--part whip and part sop for our consciences? And if not, why is God so patient with human flaws and disobedience? How to parse the names of historic figures and places in the Bahá'í Faith to assist in reading and understanding them. Five steps to use prayer and meditation in decision making. Is it worth the effort? Can we as a species really clean up the messes we have made? Bahá'u'lláh, Prophet/Founder of the Bahá'í Faith, says yes. And His followers believe He provided the blueprint to do so. Questions and investigation of Truth are an integral part of Bahá'í theology. Finding the answers that work in today's world is important to followers of Bahá'u'lláh. This age old divine command is reiterated in the Bahá'í Faith, as the only way to a peaceful world. But how does one go about achieving that goal when surrounded by other members of the human race? An introduction to and outline of Bahá'í religious laws. Some steps Bahá'ís consider necessary for spiritual growth within their Faith. Bahá'ís do not believe in a physical Heaven or Hell because their religion teaches that mankind is basically an eternal spirit associated for a short time with a physical body. When the body dies, the spirit continues to develop. What if all religion came from the same God? What if all the differences between beliefs were misunderstanding? Bahá'ís believe that God has never left mankind without guidance and that throughout history has sent Messengers. Perhaps not so shocking as they were 150--or even 50--years ago, these basic Bahá'í beliefs are shaping a planet-wide social evolution. Bahá'í teachings make it clear that every single person has gifts and talents and is expected to use them for the betterment of themselves and mankind. Where does the soul go after death? What is the Bahá'í concept of heaven, and how does one get there? Since Bahá'ís believe in only one God, the concept of evil is discussed in terms the absence of good, rather than an embodied and powerful spirit, or alternate god. The meaning of the term rebirth in the Bahá'í Faith refers to the dual nature of human beings, and to the flowering of spiritual awareness. The Bahá'í Teachings say that having created mankind out of His love, God made a Covenant--a promise--never to abandon that creation. If piety meant more of us paid closer attention to the ways in which we all agree, there would be far less excuse for religious argument. Here is a common example of that agreement across religions, languages and cultures. According to the teachings of the Bahá'í Faith, the divine religions were founded for the purpose of unifying humanity and establishing universal peace. The rite of baptism is not practiced in the Bahá'í Faith, but there is an understanding of and respect for the symbolism. Why is the Bahá'í Faith without clergy? In 1911, at a talk given to the Theosophical Society of London, England, 'Abdu'l-Bahá outlined His Father's teachings. One of the most common religious instructions is to fear God(s). Yet, paradoxically, believers are also instructed to love their Creator. How does one Bahá'í reconcile that? What's Different about the Bahá'í Faith? How are the Teachings of the Bahá'í Faith unique for this time in human history. The core principle of the Bahá'í Faith is that there is only one God and all religions come from that same Source, so can you guess the source of some of this enduring guidance? Why Aren't Bahá'ís Vegetarian ? Some believers may indeed be vegetarian, but that is a personal choice and not a religious law. Cremation is considered unnatural and disrespectful because the body was once exalted by the immortal soul of man. 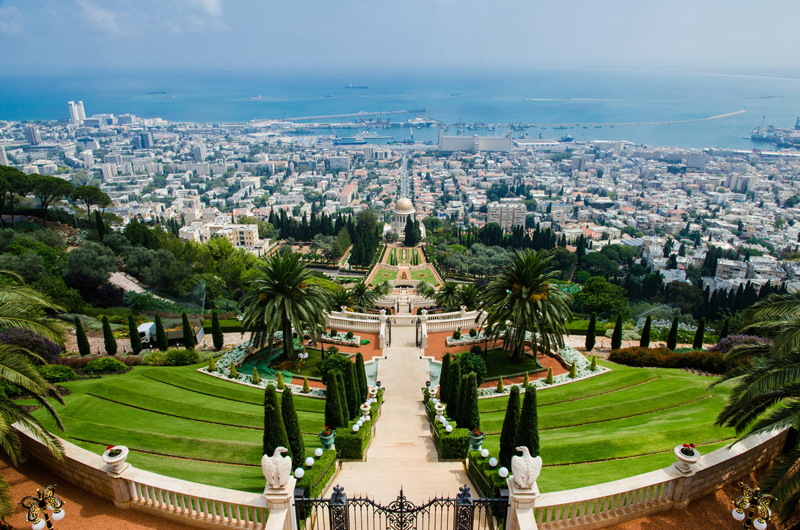 What is the purpose of Fasting in the Bahá'í Faith, and what does it mean to its adherents. What does the Bahá'í Faith say about the seemingly inevitable persecution that every Prophet of God has had to suffer, even to sacrificing Their lives for the new faith? Why Is Patience So Difficult ? Patience is a virtue that has been extolled by all religions and philosophies--not to mention leaders in the fields of medicine and psychology and education--forever, it seems. So why is it so difficult to master? Religion without reason is superstition; science without ethics is crass materialism. Each provides the other with necessary tools to succeed in building a prosperous and peaceful world. Science and religion are wings of the same bird.